I often wonder when G.O became MBLAQ’s official main vocal if he realized how much dancing he was going to be required to do. Choreography is part of the Korean pop idol package but he is primarily a romantic balladeer. As we all know, ballads do not really require choreography. I can only hope G.O surprised himself with how well he could . . . move. I pretty much view dancing as a sport, and much of MBLAQ’s choreography was quite athletic, especially in aggressively intense dance tracks like Run. Along with its searing vocals and powerful rap, Run was designed to be visually spectacular. And indeed it was when our gorgeous men in black brought their fierce martial arts themed performance to the K-Collection Fashion Concert stage back on 11 March 2012. Where was I? 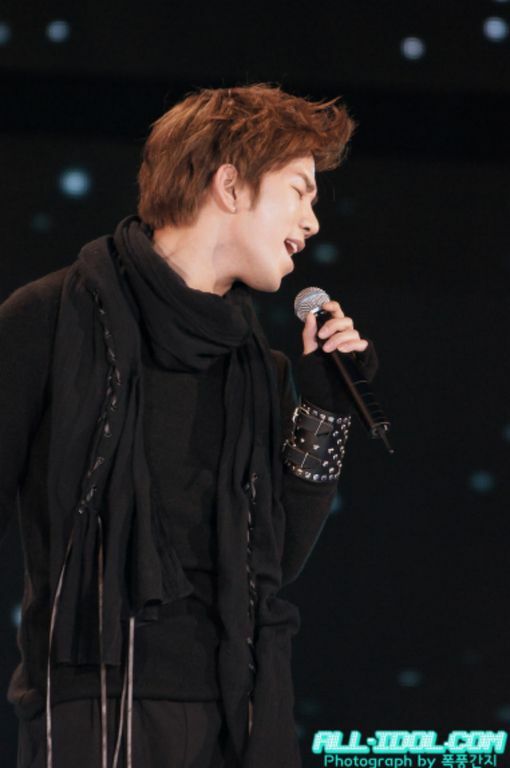 Ok, yes, the K-Collection Fashion Concert back in March 2012. One of the reasons I love this performance overall (and that includes all of the songs MBLAQ offered from that stage that evening) is G.O’s style that night. He always looks spectacular, but I LOVE what he was wearing for this performance. The black on black on black looks even more dramatic with the lighter color hair he was sporting during this time. I say it often, but not have said it in a while, clothes wear G.O so very well. The loose and comfortable fit of this ensemble allowed him freedom of movement for the demanding bursts of dynamic choreography in Run. Run essentially is a rap-oriented track. Again, highly visual, especially during the explosive ninja-esque dance break. G.O’s recorded music track at the foundation of the chorus, which he handles, comes in like a bolt of lightening. It is fierce and ushers the flow of the rap perfectly and is a nice interlude as the bulk of Run rumbles through you like a seismic event. Mr. Handsome does not have a ton of vocal time in Run, but his presence on the stage is nevertheless a force seen best in the powerful choreography, the intense stares out into the expanse of the audience, and in this performance, a quick flirtatious wink (did you catch it around the 2:13 mark?) to remind us of his irresistible charisma and charm. 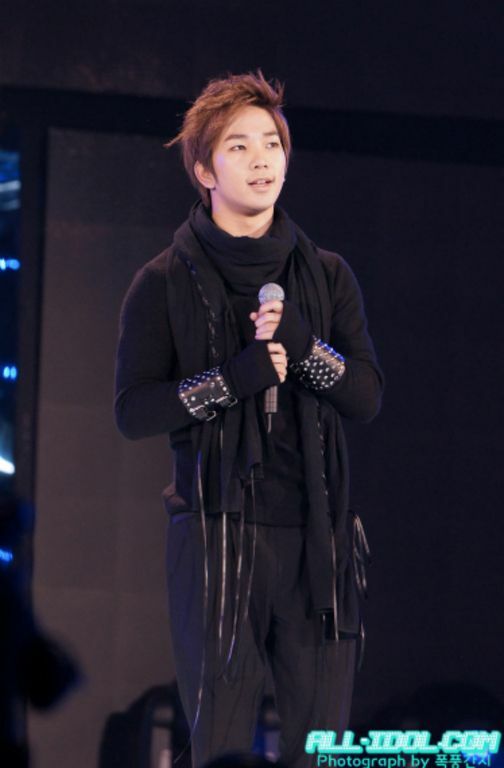 Categories: G.O Military Discharge, MBLAQ Musings, The G.O Files | Tags: G.O, G.O in concert, G.O Live Performance, G.O on stage, G.O One Shot, G.O's Military Service, Jung Byung Hee, Jung Byung Hee images, K-Collection Fashion Concert 2012, Korean entertainment, Korean Popular Music, Korean Visual Performance, Main Vocal G.O, MBLAQ G.O, MBLAQ G.O in concert, MBLAQ G.O Live Performance, MBLAQ G.O on Stage, MBLAQ in Concert, MBLAQ Live Performance, MBLAQ Main Vocal G.O, MBLAQ on Stage | Permalink.